When you can't come to us, we come to you. That's service. 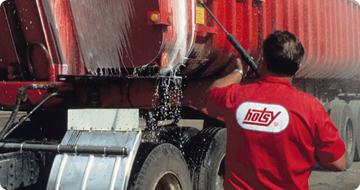 Hotsy Water Blast Offers the Widest Selection of Pressure Washers & Cleaning Systems in North America. If we Don't Sell It, We'll Build It! We pride ourselves in being the industry leader in Hotsy Pressure Washers and industrial cleaning systems for over 40 years! 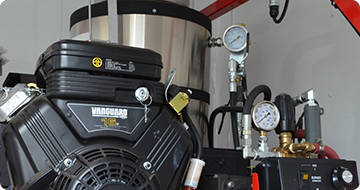 We carry over 100 models of hot and cold Hotsy pressure washers, automatic parts washers, insulated caustic dip tanks and water treatment systems. If we don’t sell it, we build it! 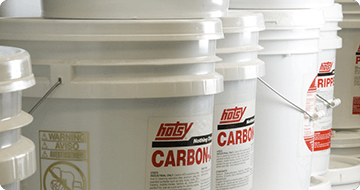 Hotsy Water Blast Manufacturing is not only known for carrying the most rugged and dependable name in pressure washers, we specialize in custom manufacturing industrial cleaning systems. From custom mobile solutions to custom large-scale wash bays, we guarantee to configure any cleaning system to suit your needs. We know that time is money so we carry the largest inventory of pressure washers, parts, accessories and offer mobile service to keep you up and running, which means no downtime! Our customers benefit from our experience and expertise which is part of being a Hotsy Certified All Star Dealer. We have been ranked the #1 Hotsy Dealer in Canada and the United States since 2002, but what do our customers say? Hotsy’s service technician was here today he cleaned and replaced the pump on one of the small parts washers, he did such an amazing cleaning job! Don does great work. Thanks again! REQUEST A PRODUCT QUOTEon our most popular hot water pressure washers!